PSL Champions Peshawar Zalmi comes up with yet another initiative and pleased to announce it's own Global Zalmi Super League next year. 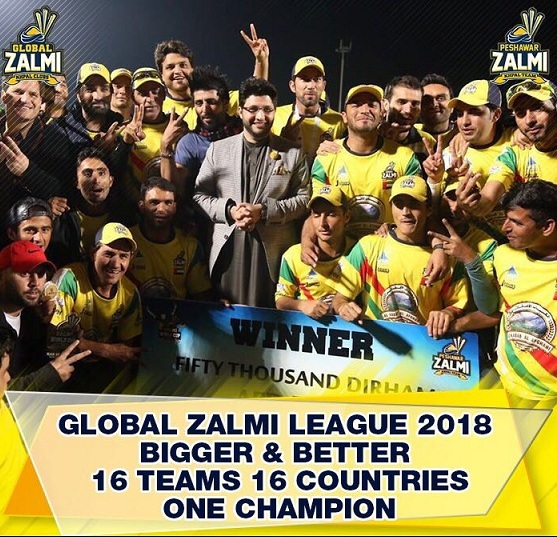 Peshawar Zalmi organized Zalmi World Cup before PSL 2 in United Arab Emirates and now Global Zalmi League will be held before PSL 3 .Peshawar Zalmi only franchise based Pakistan team in any sports which have global fans base clubs and team over 25 countries and 16 participants teams of Global Zalmi League will also comprise of our Zalmi fans from round the Globe. 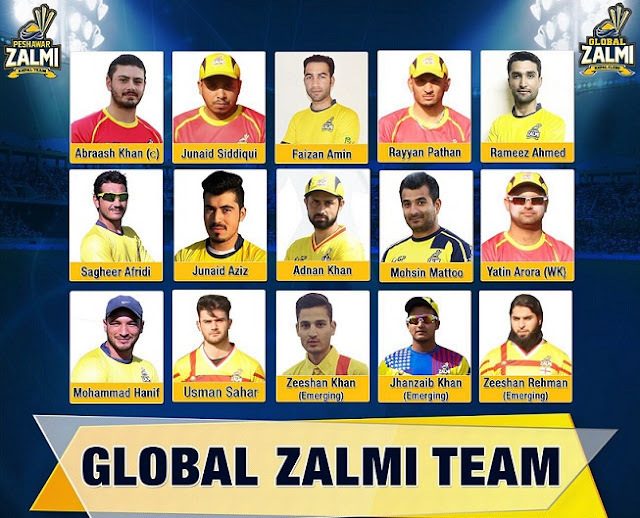 Peshawar Zalmi also announced Global Zalmi team which is selected from last year Zalmi World Cup held in United Arab Emirates. The team consist of young players from across the globe which had participated in the major event of Global Zalmi. Abraash Khan from Canada Zalmi has been appointed as the captain of the Global Zalmi team. Team is mixture of highly skilled batsmen and top class all rounders equally supported by spin bowlers. And here is full team of Zalmi Global . Chairman PZ Mr. Javed Afridi congratulated & appreciated GZ players dedication & becoming part of the squad. 5 top players of Global Zalmi League 2018 will practice with PZ team during PSL as part of GZ development program.Chairman also promise a bigger and better Global Zalmi League. Brand Manager of Global Zalmi Mr. Iftikhar Ud Din Khattak said we have a balanced team with an excellent combination of young attacking batsmen and genuine quick fast bowing supported by leg spin option, bunch of super fit athletes from across the globe. Team selection is based on their performance in last year Zalmi World Cup. Emerging category has also been introduced and three players have been selected as Emerging players who will be part of Playing XI. Full schedule and other details about Zalmi Super League will be announced in January 2018.